Here's this week's sketch at CAS(E) this Sketch by Jackie Rockwell. And here's my loosely literal take on it. die cut with matching dies, and placed on the dot background from Mama Elephant. The card was finished off with one of my fave sentiments from Paper Smooches. color them with Copics! Or any permanent pen like a Sharpie will do since they now come in a spectrum of colors. Stop by CAS(E) this Sketch to see how the rest of the design team interpreted this sketch and play along with us. You have until Thursday, June 27 to link up your card. I am swooning over the delicious colors of the butterflies! 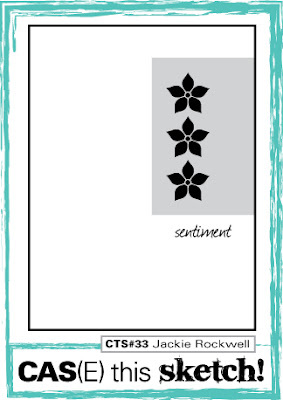 The white embossed panel is perfect with the sentiment!! You rock as always, Donna! So charming, Donna! Love the bright colors against those sweet dots! um, wow! So CAS and lovely! The details of the butterflies and the bling are stunning! Beautiful colors and butterfly shapes! So sweet! I love the white polka dot panel. Just right. This is so perfectly done, Donna!! Love the bright colors and of course, you cannot go wrong with dots!! Gorgeous colours and a gorgeous card Donna! Donna-- I LOVE this card! I LOVE everything you do! You amaze me! I'm blown away with your style and talent-- you always have something new and fresh to share! FAB! Super sweet and now there are definitely more butterflies that I want to add to my collection lol. Had to pin this! Gorgeous - the colors are perfect with the kraft! Charming, love those luscious butterflies! Oh! Those butterflies are gorgeous! What a fabulous design! This card is beautiful! The butterflies look so sweet, love the color choices! The design is fabulous, but even more so, you are a woman who knows color!! Your color choice is always so beautiful...love the butterflies on the cute dots background! Donna, what a pretty card! The colorful butterflies give just the right amount of color to the kraft paper. Thanks for the inspiration. what yummy colours Donna. Fabulous card. seriously, you don't miss a beat on your cards. all simple, colorful, and absolutely lovely cute. your cards aren't 100% all cute, they are lovely cute. They have a touch of maturity and femininity to them that make them so so good. Love your take on this week's sketch, Donna! The colors of your butterflies are so pretty on the dot background, and I love the single pearl on each one...thanks so much for the tip, too! Love everything about this card, Donna--wow! love the white on the kraft, it makes the butterflies really stand out. You are just the Queen of Kraft, girlfriend. You rock the kraft like no other. Rock on, Donna, rock on! Summer Card Camp 2 Class Giveaway! Summer Release at Purple Onion Designs!